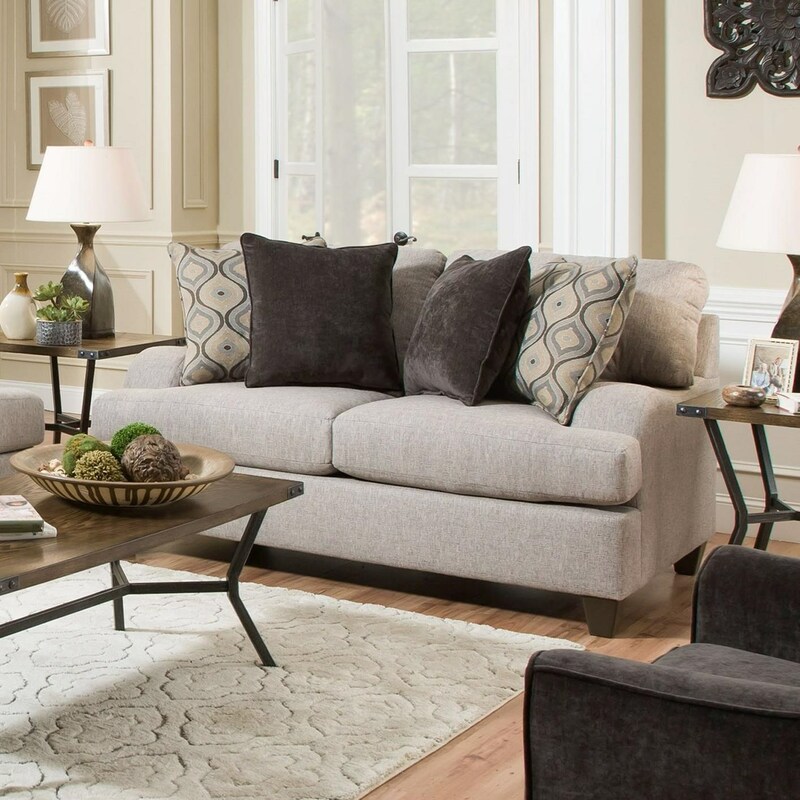 Featuring large back and seat cushions for extended comfort, this transitional loveseat will transform your living room setting. Showcasing tall legs, the piece displays a unique arm design. Sleek and stylish, this loveseat sits up to two. The 4002 Transitional Loveseat by United Furniture Industries at Miskelly Furniture in the Jackson, Pearl, Madison, Ridgeland, Flowood Mississippi area. Product availability may vary. Contact us for the most current availability on this product.